This town isn't big enough for the two of us!. Reminds me of an old Western. "Draw, stranger!". HD Wallpaper and background images in the étoile, star Wars: Clone Wars club tagged: Clone wars. Reminds me of an old Western. "Draw, stranger!" 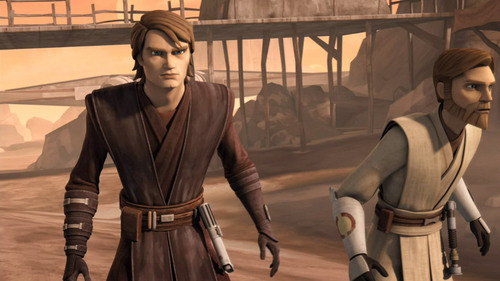 Anakin and Obi-Wan look like a sheriff and his deputy in an old western. "Your move, stranger!"